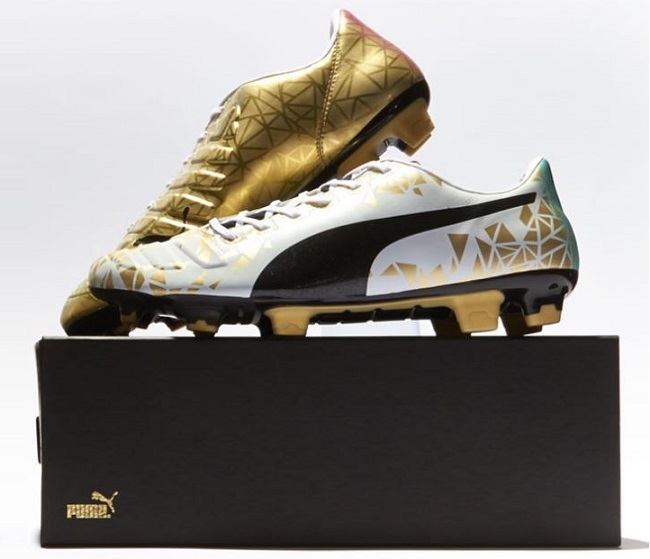 The limited edition Puma evoPOWER 1 Winner was “Here and Gone” this weekend, in a super quick sale on Soccer.com. With only 128 pairs worldwide, the number sold on the US retail site was very limited and it seems like fans were not put off by the $300 price tag. Thie version of the boot was released as part of the celebration pack for this summer’s World Cup in Brazil. We were under the impression that no pairs had made their way to the US, but it seems for some luck was in hand! Side note right here, we love the performance offered by this 7.2oz power boot range. There is an air of sophistication about the technology Puma brings to the table, with the super flexible soleplate and lightly padded upper providing a fresh style in game. You only need to look at the selection of players currently wearing them as it shows how broad their reach is. Anyone that likes to strike shots is going to love them, but they also have that extra padding that ensures they are a top option for defensive players also! The design of these is simple yet refined. 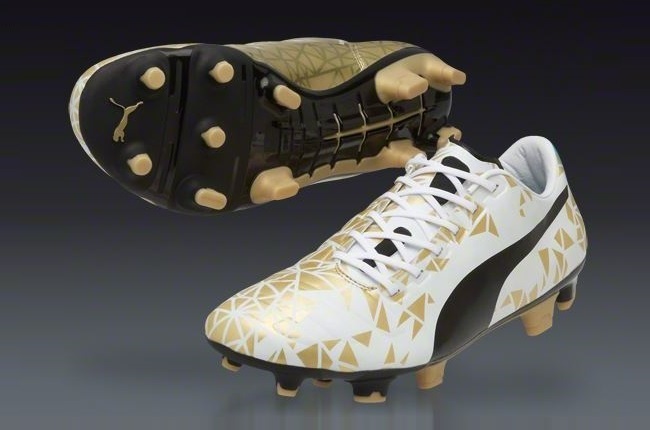 On the primary white upper, Puma has placed gold colored flakes in multi-positions. It gives the boot an unusual appearance, something the is doubled in effect by the combo colored Pink/Blue heel design added to each boot. 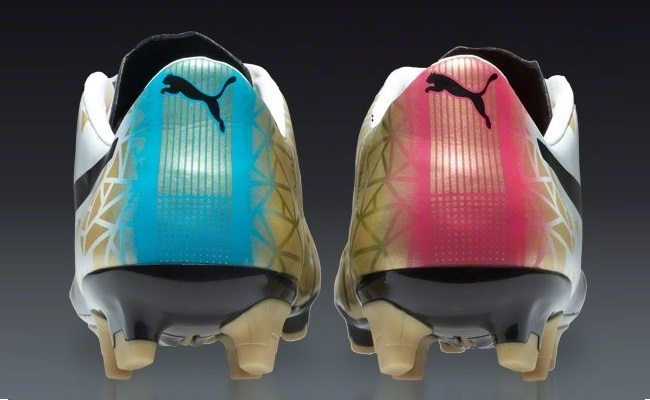 This combo color follows in the same pattern as the Puma Tricks Collection, which featured both boots in individual shades. It is likely that some pairs might become available again, keep a check on the Soccer.com listing page if you are interested in trying to get your hands on a pair!